The defective medical device attorneys of McSweeney / Langevin recently filed a lawsuit on behalf of a woman who allegedly suffered serious personal injury as a result of a defective American Medical Systems (AMS) BioArc Transvaginal Mesh System (TVM). According to attorney David Langevin, women allegedly injured by a TVM system should contact McSweeney / Langevin immediately because the statute of limitations is rapidly approaching for most claims. The defective medical device attorneys of McSweeney / Langevin recently filed a lawsuit on behalf of a woman who allegedly suffered serious personal injury as a result of a defective American Medical Systems (AMS) BioArc Transvaginal Mesh System (TVM). (See Carter v. AMS, Inc. 2:14-cv-10986). 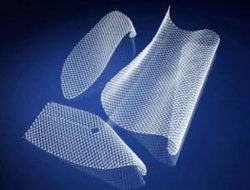 The transvaginal mesh lawyers of McSweeney / Langevin allege the American Medical Systems, Inc.mesh product caused the plaintiff to suffer pelvic pain, scarring and numerous medical appointments and medical procedures. The complaint goes on to allege negligence, design defect, manufacturing defect, inadequate warnings, breach of warranty, fraudulent concealment, negligent misrepresentation, and unjust enrichment by Bayer. According to attorney David Langevin, women allegedly injured by a TVM system manufactured by AMS, Johnson & Johsnon / Ethicon, Boston Scientific, CR Bard, Coloplast, Cook Medical or Caldera Medical should contact McSweeney / Langevin immediately because all claims are subject to a statute of limitations and the statute is rapidly approaching for most claims. With the sole purpose of helping the injured, the personal injury law firm McSweeney / Langevin ensures victims and victims’ families are adequately compensated for wage loss, medical expenses and pain and suffering. While most firms have you speak with an “investigator” or “case manager,” McSweeney / Langevin connects people with one if its attorneys who will be handling your case. The firm handles personal injury cases related to dangerous/defective pharmaceutical drugs, dangerous/defective medical devices, and serious/catastrophic injury claims. For more information, visit http://www.westrikeback.com or call 1-800-888-4425.